I finally broke down and decided to start making my apple recipes, since it is officially Fall! We went to the local orchard this past weekend and loaded up on over 10 pounds of apples! I just couldn’t help myself. My fiancé and I are both big apple lovers and there is just something so fun about actually picking your own apples in an orchard. I rationalized our large apple purchase by telling myself that I would use them all up in a bunch of new apple recipes I’ve been wanting to try. 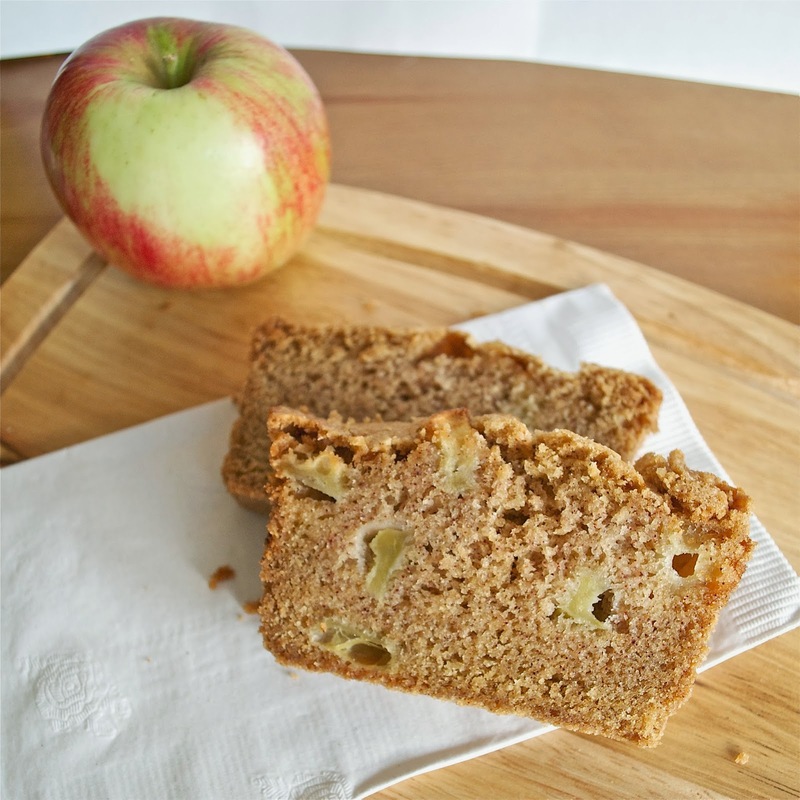 The first apple recipe I wanted to try was this Apple Bread. 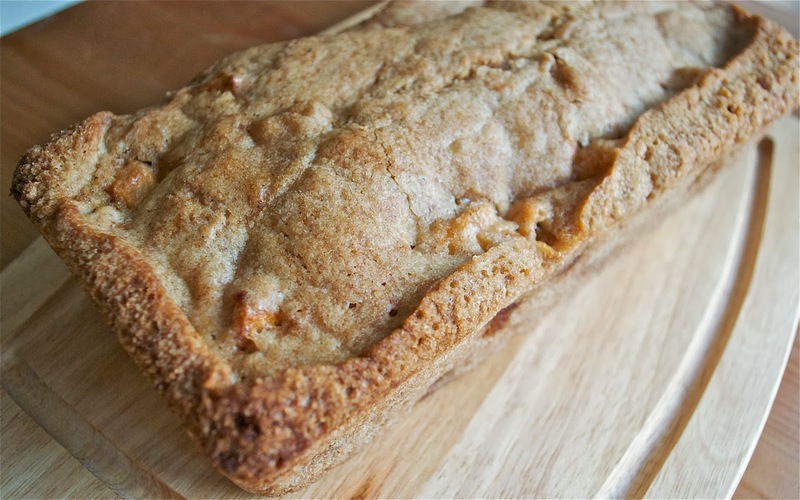 I’ve never actually had apple bread before, but I love apples and I love bread, so I figured it would be worth a try. Boy, am I glad I did! This stuff is good. It reminds me a lot of banana bread, because it has the same dense, cake-like texture. It really is more of a dessert than a bread if you ask me. Either way, it couldn’t be easier and an added bonus is it makes your house smell great while it bakes! 1. Preheat oven to 350 degrees. Mix flour, cinnamon, nutmeg, baking soda, and baking powder together in a medium bowl and set aside. 2. Beat eggs in a large bowl and add in sugar and oil. Mix until combined. 3. Add in the vanilla, then gradually stir in the dry ingredients. The batter will be very thick. 5. Divide evenly into two greased loaf pans and bake for 1 hour.